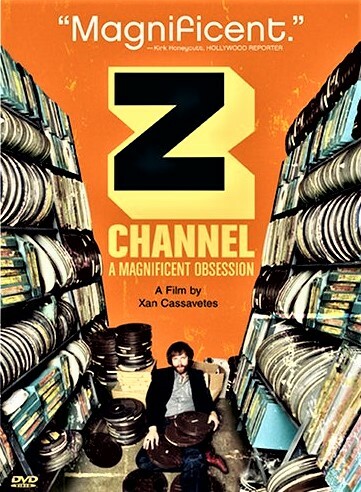 Xan Cassavetes: Z Channel: A Magnificent Obsession (2004). This is an alluring documentary that dives back into the 1970s and 1980s, beginning as an origin story and ending with the collapse of Los Angeles-based Z Channel (1974-1989), after a murder-suicide perpetrated by its talented, mentally ill main programmer, Jerry Harvey (1949-1988). Subscription TV (now streaming, too) began in earnest with the likes of Home Box Office (HBO) in 1972, The Green Channel in 1973 -- which morphed into The Movie Channel (TMC) in 1979 -- and Z Channel. The latter included an influential sampling of international movies with subtitles, director's cuts, B movies and independent films. Z Channel had a profound impact on its market, especially among directors, writers, and other "creatives." Xan Cassavetes gives us a taste of representatives from this class, ranging from Penelope Spheeris to Jim Jarmusch. When a cool movie or director was featured on Z Channel, this was an event that could be shared in "real time," not just recorded for later, or plucked out of the ethersphere at will, or binge-watched down the pike. We may well wonder about delivery and recording systems now vs. then, and now vs. in the future. In those years, battle was also joined globally in the videotaping field between Sony's Betamax (Beta) and JVC's Video Home System (VHS) tapes, with Beta starting in 1975, VHS in 1976, and both lines ceasing production only in 2016. Digital services now available dwarf what was around in the 1970s. All you need is money, access and time! In 1975, the global human population was about 4.079 billion, 38% of it urbanized. As of 2018, it has already jumped to 7.633 billion, with 55% urbanized. What do you suppose those numbers will be in 2060? Imagine the delivery systems forty-two years from now, when handheld devices, streaming services, driverless cars and delivery drones are old hat?